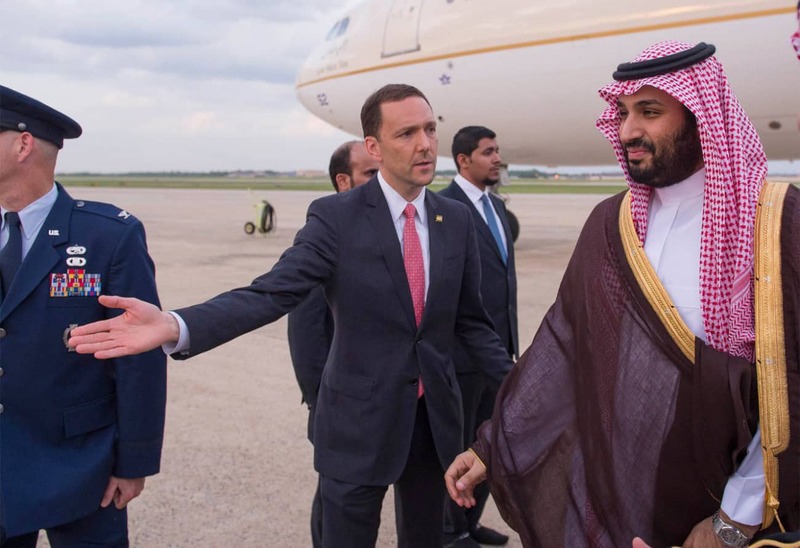 Crown Prince Mohammed bin Nayef and Deputy Crown Prince Mohammed bin Salman bin Abdulaziz arrived in US on Monday to participate in the Camp David summit hosted by US President Obama for the leaders of Gulf Cooperation Council (GCC). The Saudi delegation is being headed by the Crown Prince on behalf of the Custodian of the Two Holy Mosques King Salman, as the King is unable to attend. Many of the Gulf leaders will not be attending, Abdulkhaleq Abdullah, a professor of political science at Emirates University, said the Gulf leaders were staying away to signal their displeasure over the US nuclear talks with Iran.